Q: Are England taking the right approach here - getting a steady platform or should they now look to be more aggressive? @legsidelizzy they’re doing fine really. Only problem is that if they lose a couple of wickets now, they haven’t really gone anywhere. @legsidelizzy Circumspection is correct. Set your platform. These two haven't been in the best form. Don't take unnecessary risks. 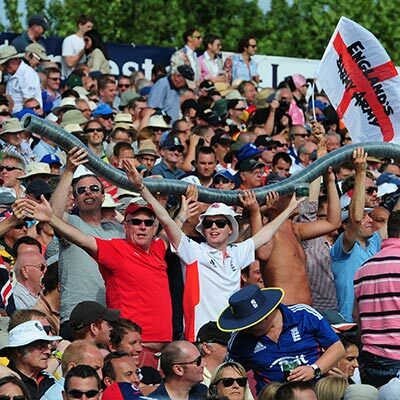 Have your say on England's approach - hit Comment Now and tell us your thoughts. @legsidelizzy Fine as they are, eventually the bad balls will come as they tire. Better 57-1 than 90-5. Trott has caught up with Cook. Which is like an asthmatic tortoise overtaking a snail with a dodgy Achilles. Afternoon session is much more flowing now. Warne says that was wreckless from KP. It was a bit - dancing down the track first ball! England resumed after lunch 56/1. 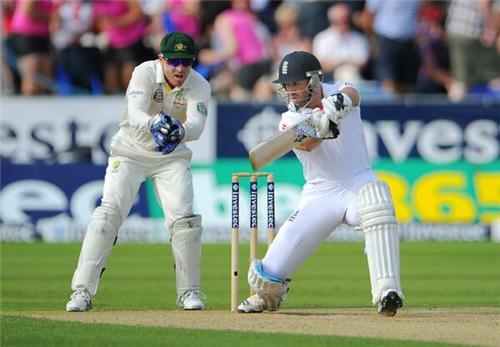 It continued to be slow and steady but with some signs of aggression from Trott and Cook. Trott in particular looking much more back to his old self playing neatly off his hips and through the on side. They brought up the 50 partnership in the 35th over off 101 balls increasing the run rate steadily as their confidence increased and the bowlers began to tire. Out of the blue he nurdled one to Khawaja off Lyon and was out for 49. Pietersen got off the mark with a dance down the track first ball and went on the attack against Lyon, so much so that he was taken out of the attack. 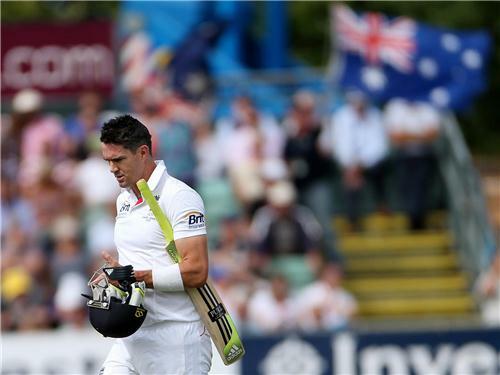 Cook battled his way to his 32nd Test match half century - a really difficult one but a really important one for him. Pietersen, on the other hand, was scoring at almost a run a ball until Lyon came back into the attack and got a thick outside edge to Haddin to dismiss KP for 26. Cook was dismissed LBW just before tea to a beautiful inswinger from Jackson Bird and England go to tea 155/4 with two new batsmen at the crease. That was a very soft dismissal - Bell just chipped it up to Harris. Nathan Lyon has been the surprise package - no one really expected the wicket to turn on day 1 but he's stayed focused even after KP attacked him. They are being a bit more watchful against Lyon because he's being bowling really well. Disciplined but getting a nice bit of turn and drift. Change of bowling. Ryan Harris coming on for his 12th over. Australia all over England at the moment. Bell in first over after tea was a blow. 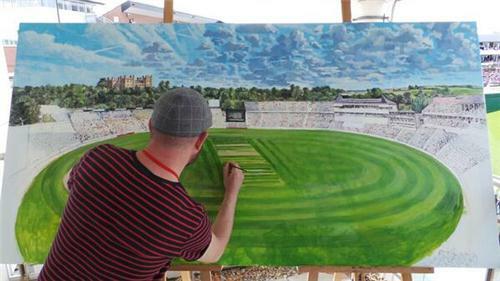 Lot of work for Bairstow and Prior now. A tricky period now for Bairstow and Prior - Harris is bowling very well and they can't take any risks so it's gone a bit lull-ish again. Very pleased that Nathan Lyon has shown something. Not a bad spin bowler for one so young and treated poorly by the selectors. Oh my word. Bairstow given out by Hill - he's reviewed it straight away, it may not have turned back enough to be hitting the stumps. Well this is a shambles from England.